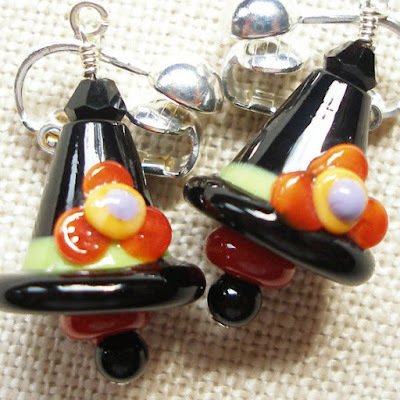 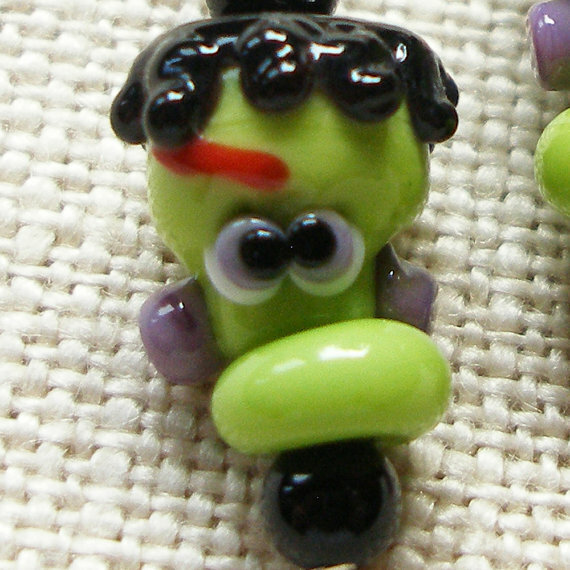 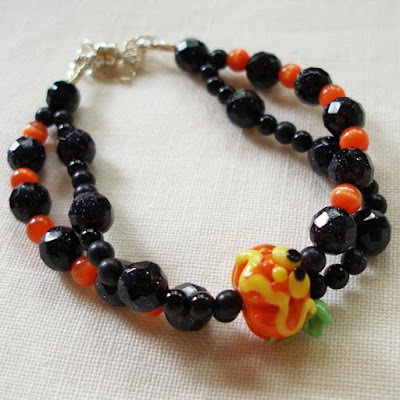 Navy goldstone and lampwork art beads in shades of lime green, purple, black, and orange come together for so much fun, whether you are accompanying your kids while they Trick or Treat, or handing out candies to visiting ghouls, goblins, and witch princesses. 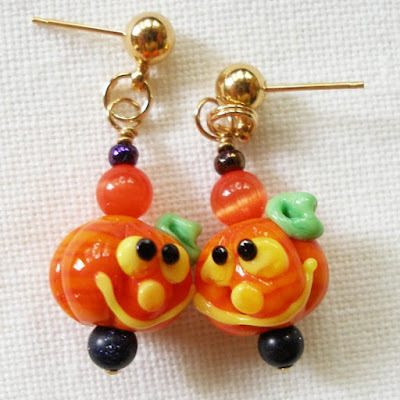 Last but not least from Artandartisan, pumpkin earrings to match the pumpkin bracelets... or just to wear all by themselves! 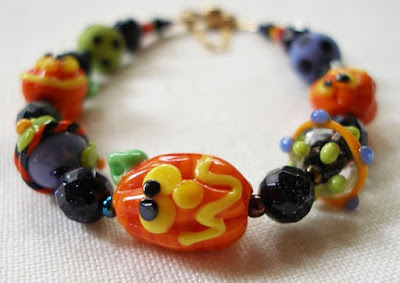 What a great etsy store! For these and more: It's ArtandAtisan at Etsy. 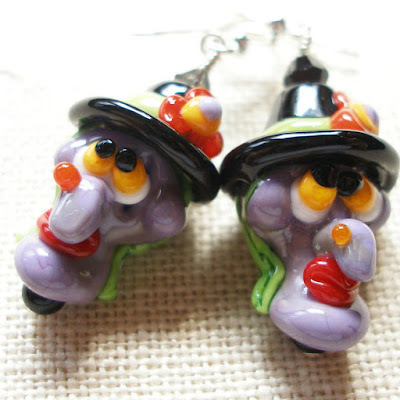 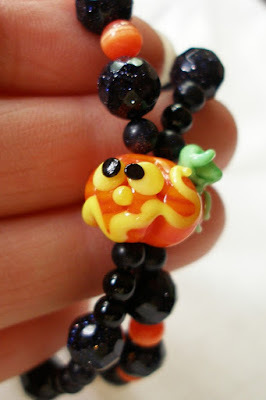 ArtandAtisan's great Halloween jewelry is going fast and, as their items are one of a kind, if you want one of these items I've featured (or others that are similar), you'll need to link over to ArtandArtisan very, very soon--- like today!